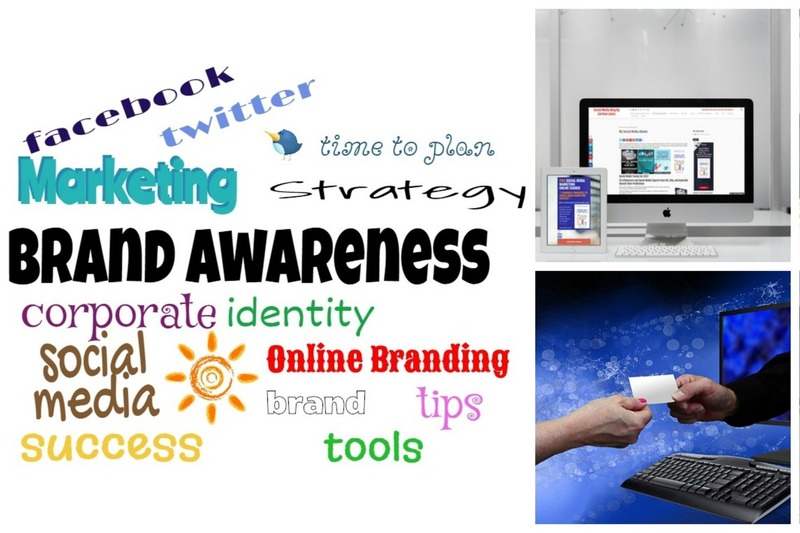 Increasing Brand Awareness must be in the centre of your Social Media Strategy. No matter who you are, where you are and what you sell, you must give a considerable attention to increasing your online brand awareness. Any business should have an online presence, this is not just for global companies. Even if you trade local, you still need a website with a map and a bit of activity on social media. Most importantly, make sure you have a corporate identity established for your online and not only for traditional marketing channels. Everything you do online represents your brand, from the colours you choose for your logo to the words you put on social media. To do that right, start with creating a corporate identity book to help you and others how you want to be seen. Make sure your social media is consistent with your website, blog, and online shop. Let’s assume you already have a logo and corporate colours and you use them on your business cards and leaflets. Keep your online presence along the same lines. Use the same colours, font and style to keep things simple and easy to remember. Your header is likely to be the first thing that a website visitor sees. Here is where it should start the branding process. Your header will likely contain your company name, your tagline, and the logo. Your header can evoke emotion or leave visitors flat. Branding on social media is equally important. Make sure your profile photo and header/cover photo on social media are matching your website too. 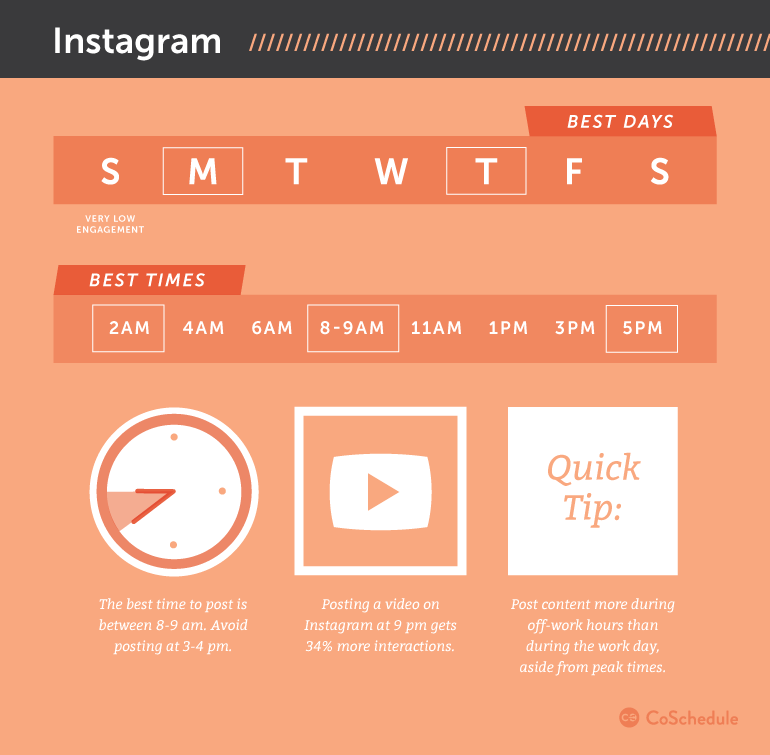 Create useful infographics, with your logo, that people can share them on social media. Brand all the photos you share on social media with your logo and website so people can start recognising you. Maintain consistency in your corporate identity to reinforce the brand identity at every point that the customer seeing you online. Branding on social media is extremely important. By setting up your social media accounts properly, your followers will be able to identify your brand apart from your competitors. The name and the images you use for your profile and header must be consistent on all social networks you use for business and it should be easily associated with your company’s identity. If you want to promote your brand on social media, you must start with identifying who is your audience. By doing this you will be able to target them with the right message wherever they are. Find out what social networks work best for your business and manage those accounts like a pro. In my latest book “Social Media Trends for 2017“, I shared 100 tips for Facebook, Twitter, LinkedIn, Google Plus, Instagram, Pinterest, YouTube, Snapchat and Tumblr. Here are my Top 10 Tips extracted from my book to help you increase Brand Awareness on social media. Treat your Profile as a business card. Make sure it looks professional and it says what you do. Include a link to your main website or a landing page if you have one. Always share valuable content, relevant for your business and your audience, in line with your brand. Don’t post cats and dogs if you are not a vet and your business doesn’t have any connection with animals. Post various type of content – about your business (20%), blog posts, other relevant news, retweets, quotes, infographics, videos. Be creative. This will trigger better interaction with your followers, increase your online and your brand’s awareness. Use hashtags to reach more people. 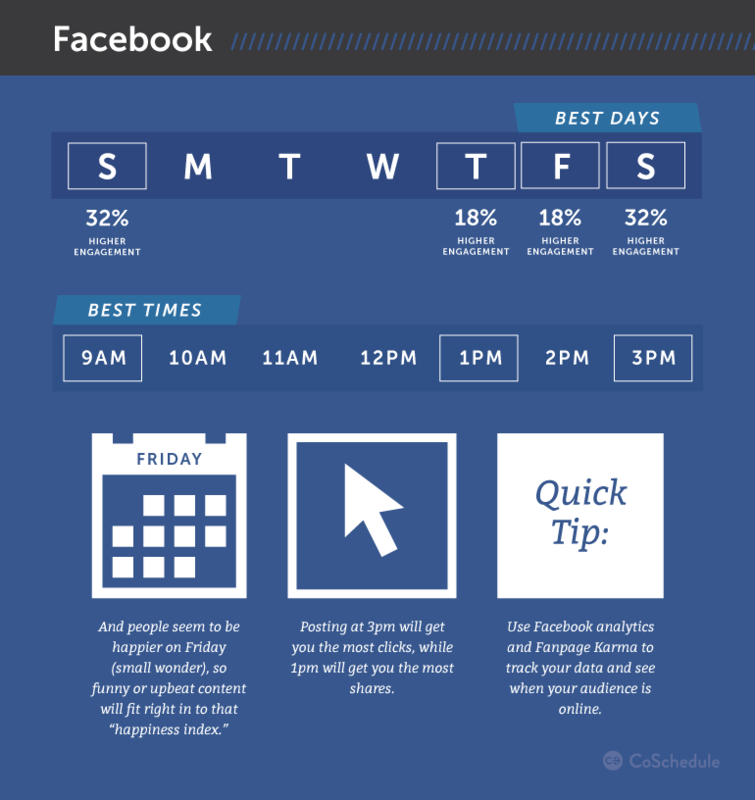 Go live on Twitter, Facebook and Instagram if you use these social networks for business. Share good quality photos, branded with your logo and website to increase brand awareness. Use social media to provide customer service. Pay attention to your audience and make sure you see and react quickly to any comments or questions. Replying promptly to their concerns should be on top of your priority. Doing this would let your followers know that they can interact with you. Find what your target audience needs and come up with solutions. When you inform them about your products or services, do this by showing how they will benefit from using them. Always provide solutions and engage with your followers and you will be considered worthy to be followed. Be active on Twitter Chats, Facebook and LinkedIn Groups (again, only if these are the platforms you use). Help others, answer to their questions, give an advice and promote your business when you are allowed to. Post frequently and at the right time. 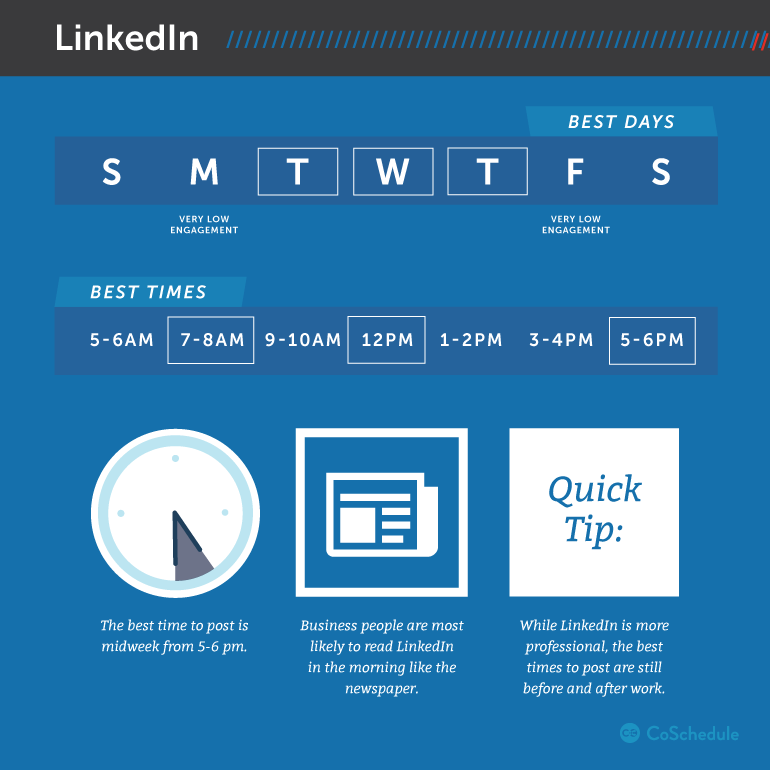 This infographic from CoSchedule explains it all. 8. 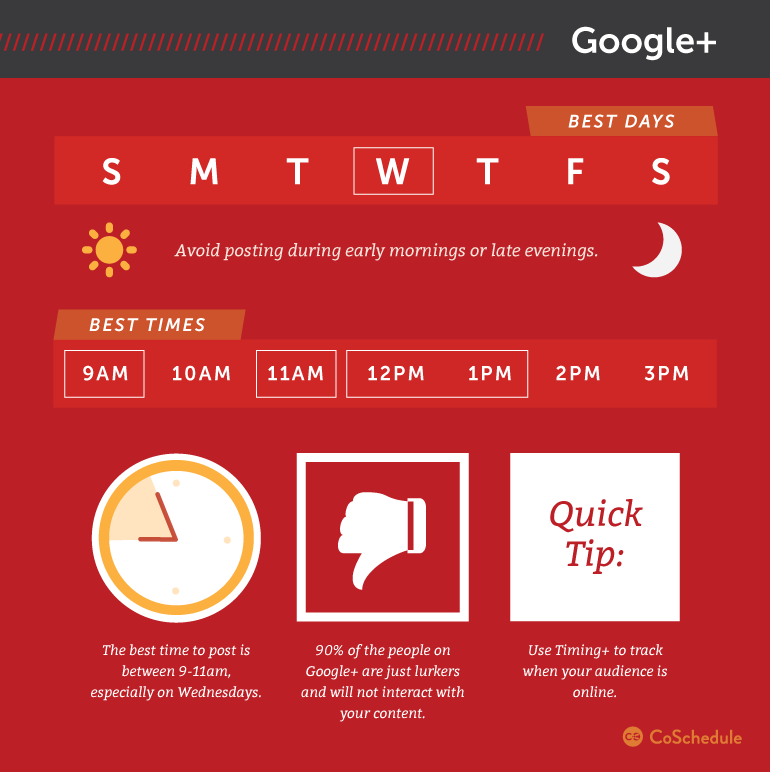 Schedule your evergreen content. 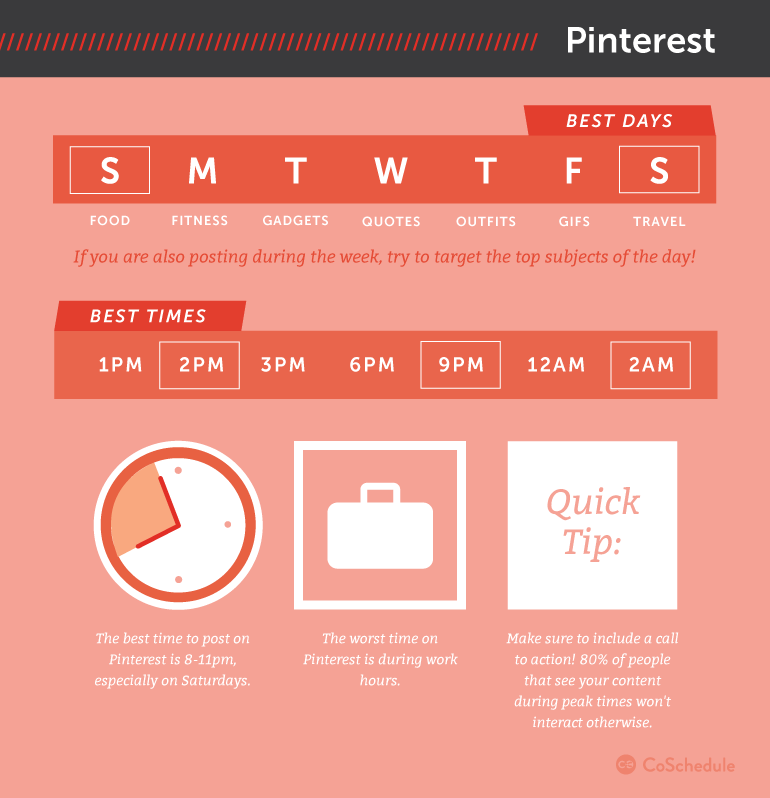 To make your life easier and save time, you can use a social media management tool to auto-post your evergreen content according to a schedule you set yourself. 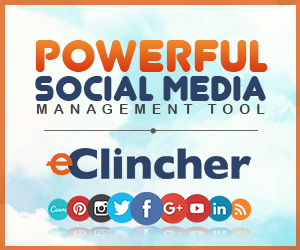 After trying a few well-known social media management apps, I decided to use eClincher, mainly because I can share my blog posts on social media automatically for as long as I want to (you can turn this feature off if you don;t need it at any point), as well as managing all my accounts – Facebook, Twitter, LinkedIn, Instagram, Pinterest and Google Plus. You can try it for free for 14 days. 9. Engage with other users – spend at least half an hour daily to check your accounts, say thank you to people that shared or retweeted you, follow back, follow new people, and retweet/share other posts. You can either install the apps on your phone or use a social media management tool to help you manage all your accounts. 10. 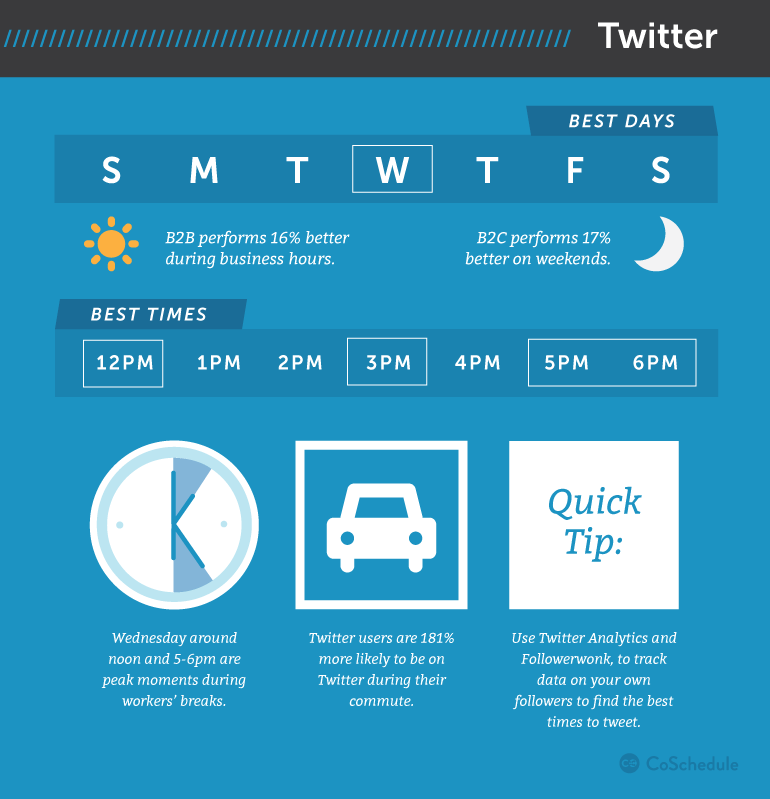 Check your stats to see how your tweets and posts are performing. In this way, you will know what type of content appeal to your audience. It may be a hard trip to start, but once you get the ball rolling it’s a lot easier to keep it going. Your company can benefit from social media in the same ways that thousands of others already have. All you need is dedication and some education from people who have tried and succeeded before you. Disclosure: This blog post may include affiliate links or product reviews. All opinions are 100% my own. What are your thoughts about paid ads on Facebook? Do you think companies can work with just organic content for reach?